The 1930s were one of the most important decades in defining the history of the twentieth century. It saw the rise of right-wing nationalism, the challenge to established democracies and the full force of imperialist aggression. Cultural Encounters makes an important contribution to our understanding of the ideological and cultural forces which were active in defining notions of national identity in the 1930s. 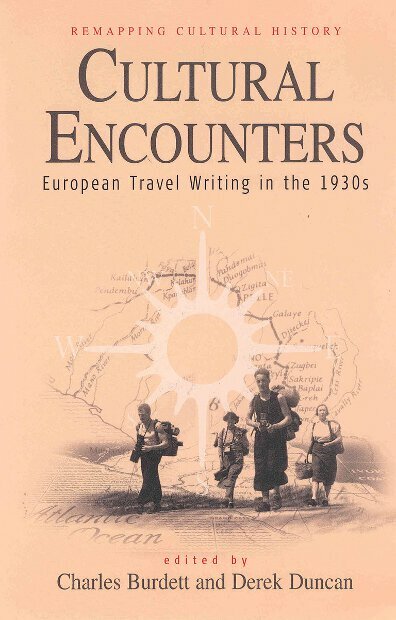 By examining the work of writers and journalists from a range of European countries who used the medium of travel writing to articulate perceptions of their own and other cultures, the book gives a comprehensive account of the complex intellectual climate of the 1930s. Charles Burdett is lecturer in Italian at the University of Bristol and co-editor of European Memories of the Second World War (1999). He is currently working on representations of Africa in fascist Italy. Derek Duncan is lecturer in Italian at the University of Bristol. He has published extensively on twentieth century Italian literature with particular reference to questions of gender and sexuality.